There has been activity in the Kerchner et al vs. Obama & Congress et al Appeal before the U.S. 3rd Circuit Court of Appeals in Philadelphia Pa.
1st: Atty Apuzzo sent a letter on 2 Apr 2010 to the Court of Appeals requesting addition to the record the dissertation on natural born Citizenship written by David Ramsay and published in 1789, one of the founders of our nation. 2nd: A letter dated 6 April 2010 was received today from the Court of Appeals scheduling a hearing date for the case on Tuesday, June 29, 2010 in Newark NJ. The court indicated in the letter that it has not yet decided whether it will permit Oral Arguments and that the parties to the case will be notified on that decision at a later time. If Oral Arguments are not permitted the case will be decided on the written Briefs and documents before the court. 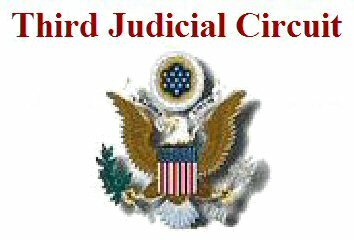 The appeal will be heard by a panel of three Federal 3rd Circuit Judges the names of whom have not been provided at this time. Atty Mario Apuzzo, time permitting given his active legal practice, will provide a fuller explanation about the filing he made and letter received today from the court later this evening or tomorrow. See comments below for more details. THANK YOU for posting this. I LOVE your blog! You have to get oral argument. Do everything you can to get oral argument. At least there's finally some movement in the case ... good to see - uinlike some of the other cases that were stalled for many months at equivalent points. The decisions of the court pertaining to this case, beginning with the question of whether or not it will proceed, will tell us a lot about the state of our Constitutional Republic and whether or not We the People still have a viable operating agreement. this is great! - oral arguments on "NBC"
Mario can explain it more when he gets time to post on the new activity, but Oral Argument has NOT been authorized yet. A hearing date on the case was set but whether Oral Argument will be allowed is going to be decided later, per the letter and per my posted announcement in the case activity post. I too hope we get the ability to have Oral Argument on this. But we'll have to wait to see what the Appeals Court decides on that point. But at least now we have a date for a hearing on the case, even if only based on the written Briefs submitted by both sides. This is to inform everyone that the Kerchner et al v. Obama/Congress et al case has been tentatively listed on the merits on Tuesday, June 29, 2010, in Newark, New Jersey. It may be necessary for the panel to move the case to another day within the week of June 28, 2010. The Court will notify us if there is a change. The panel will determine if there will be oral argument and if so, how much time each side will have to argue. We will know if there will be oral argument no less that one week prior to June 29, 2010.
was - there is no information available. One other thing that should be in the works is trying to make sure that one or more states enacts a strict vetting process for the 2012 election. IOW, as far as I know, it is up to the individual states to vet the presidential candidates. Food for thought... Imagine that 2 states get a strict vetting in process for 2012. No proof of eligibility, no place on the ballot. Now, suppose that obama cannot provide that proof. Here is the wonderful part of it. Imagine election night with the likes of olbermeyer and chris tingly leg matthews trying to 'splain why obama isn't on the ballot in say Texas and Alaska.. I believe Arizona is working on just such a vetting requirement for 2012. Interesting developments. I hope that the court will not focus on standing, but at least go to whether or not a claim has been stated and then whether or not Obama has presented any competent evidence to rebut material fact alleged. Incorporated into your brief, this analysis of WKA could go a long way toward opening up the court to the conclusion that this area of law really is unsettled. Therefore, no court is following "binding precedent," which means the SCOTUS ultimately will have to decide this. I have just read the courts opinion and decision on Kerchner v Obama and it sickens me that the court believes it's "frivolous". I have always felt that Barack Obama is not who he says he is. Spending over one million dollars to hide "all" your records is proof that he has something to hide. Can someone please tell me why no one will listen and proceed with an investigation and make him show his Birth Certificate. Is Obama regime so in control of every aspect of our government that no one in our government has the spine to do anything? Even our courts? Was the wussifactaion of America planned so that no one would have the courage to stand up to this radical regime? Barry why do you not have the courage to show us your records? I guess that by any lie, by any means to push your demeaning transformation is justifiable.